Different ways to style the Heritage trend with a Chesterfield sofa. 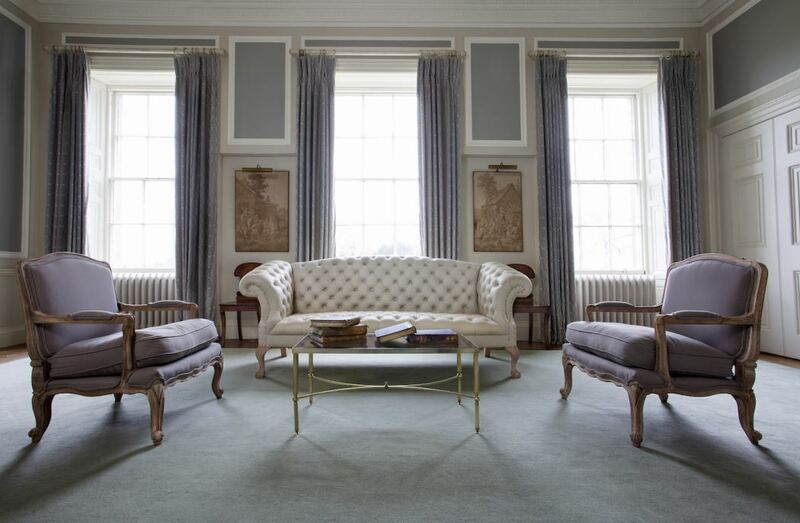 The Chesterfield sofa really does represent true British heritage; our long-standing tradition of beautiful pieces, created at an unprecedented level of fine craftsmanship and detail. 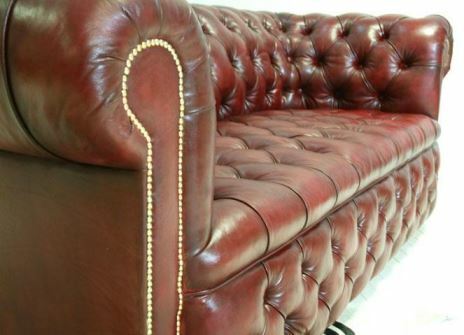 When I think of a Chesterfield I think of gentlemens clubs but also cosy snugs with beamed ceilings in traditional houses, however recently this style of sofa is becoming more at home in a modern space as well as a classic one. With their very regal and striking presence the Chesterfield sofa makes a stunning focal point in any room or even to compliment other pieces and styles in the room. Renowned for their straight arms and back to give a bold and comfortable seat, while traditionally being fully buttoned with stunning studded arm facings and borders giving them their beautiful sense of luxury. Interiors have grown and changed greatly since the 18th Century town houses and grand manor houses that were built at the time. Styles and designs have evolved over hundreds of years with many styles being revived including this timeless classic, which is over 300 years old! The Chesterfield sofa sits perfectly within the Heritage trend that is popular now, and is perfect mixed with vintage. 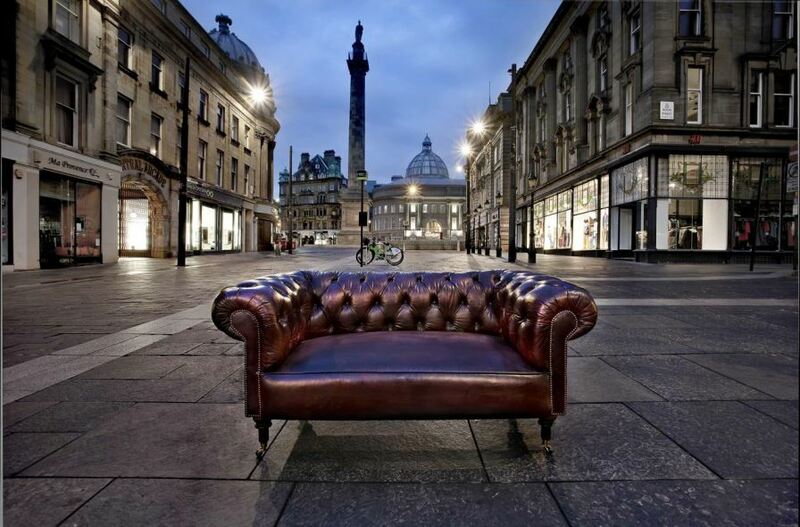 When I think of Heritage I think of an antique looking Chesterfield in a chestnut-brown, gently worn leather. I think of plaid patterns, soft cushions and throws alongside. I think of antlers on the walls, warm tones in reds and blues, and dark navy walls. I then picture vintage pieces mixed in, such as a coffee table made from an old trunk with dark metal rivets and worn leather handles or a vintage map on the wall. An alternative to the brown leather for this look is the deep red wine Wilmington Chesterfield sofa; a stunning timeless style with great character and comfort. Fully buttoned with a wide buttoned border and finished in a hand dyed leather, here in a deep red wine with contrasting brass studding. This will sit perfectly against the dark walls I have described. If this take on the Heritage style is too masculine for you, then how about this softer look. Choose a Chesterfield in a cream or light grey such as the Goderich Chesterfield Sofa, Finished here with a more simple flat seat and upholstered in a wonderful light grey linen without studding, which gives the piece a more modern elegance as well as a more feminine feel. I would style this with more muted tones such as a grey/blue rather than a rich navy and add velvet cushions for a luxurious texture and a glass chandelier. 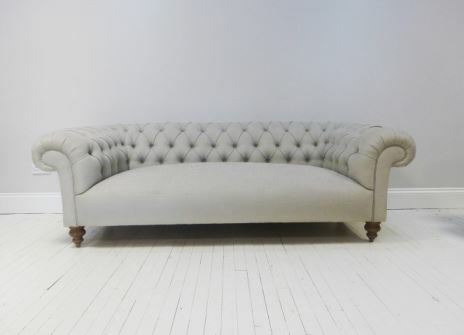 Or choose the Rockingham chesterfield sofa positioned here as a focal point. In an undyed natural leather rather than traditional browns or tan, this gives the piece not only an interesting appearance but it compliments the surrounding colours of pastel shades beautifully. 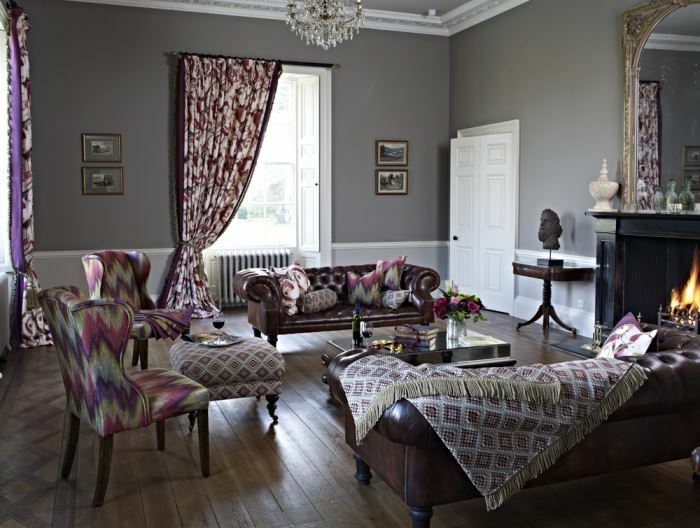 With two contrasting chairs again upholstered in a soft lilac, this room has superb character without being overpowered by traditional dark colours and heavy wooden furniture; instead opting for more elegant pieces and colours. Finally, maybe your take on the Heritage interior is more of a traditional one, with dark wood floors and large gilded mirrors creating an elegant finish. However by adding patterns and flashes of colour you will give this look and room a fresher feel. Here there are two  stunning Devonshire Chesterfield sofas dressed with colourful cushions and throws, accompanied by two bold patterned chairs which make this traditional look more contemporary and fun. Whatever your take on the Heritage look, one thing for certain is that you need a Chesterfield. They ooze quality, tradition and will age perfectly alongside you and your home. This is a brand collaboration with The Original Sofa Company.